The SEC function in Excel calculates and returns the secant of a given radians. The Secant is the reciprocal of Cosine. 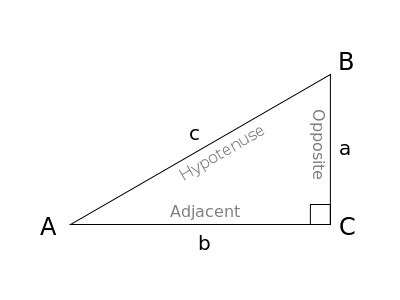 Secant of the angle θ, is the ratio of the hypotenuse side – c, to the adjacent side – b. Where Argument number is angle in radians which you need to calculate the Secant of. In row number 4, Angle 60 degree is converted to radians and passed as input to the SEC Function. In Row number 5 Radians -π/6 is passed as input to the SEC Function. In row number 6, Angle -90 degree is converted to radians and passed as input to the SEC Function.